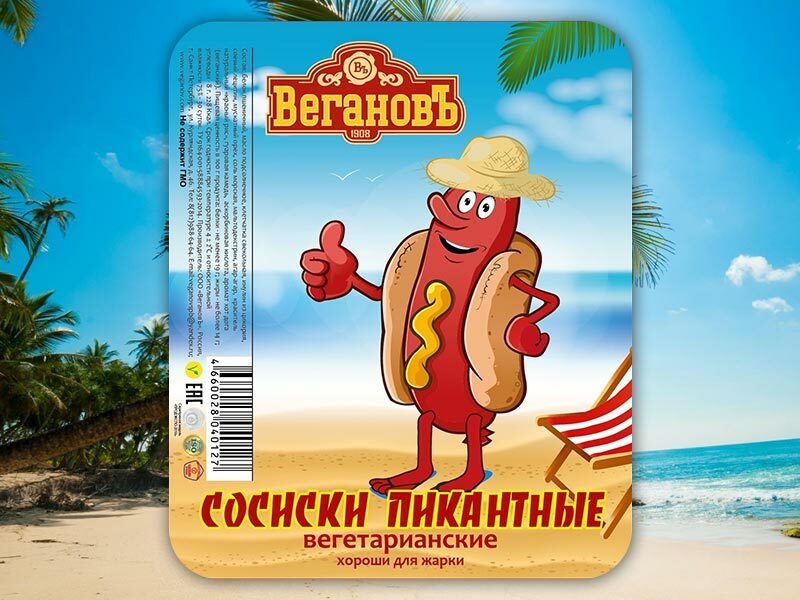 Frankfurters “Picanto” | Компания «Вегановъ» – вегетарианские продукты питания. Ingredients: wheat protein, sunflower oil, cardamom, nutmeg, sea salt, maltodextrin, agar-agar, inulin from chicory, natural dye “red rice”, guar gum, beet fiber, ascorbic acid, “beetroot” aroma (vegan). 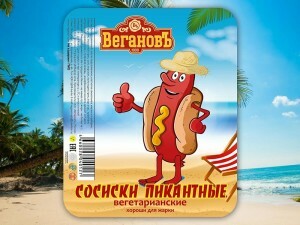 A novelty in the product line of the brand “Veganov” – Frankfurters “Picanto”, enriched soy lecithin. Ready to eat, just perfectly for boiling and frying. Soy lecithin – an important phospholipid complex for the body, that plays an essential role in the metabolism and the prevention of such terrible diseases as atherosclerosis, type II diabetes, multiple sclerosis, gallstone disease, steatosis, cirrhosis, Parkinson’s disease, psoriasis, and many others. The content of lecithin in food allows to reduce blood cholesterol levels and the frequency of contractions of the heart muscle, has a positive effect on the state of cell membranes, improves circulation. Lecithin plays an important role in enhancing the body’s defenses, it helps to restore the function of lymphocytes and mononuclear phagocytes, increases the body’s resistance to diseases by production of antibodies . It is an essential structural component of brain cells; phosphatidylcholine, which is the part of lecithin, is transformed into acetylcholine – an important brain neurotransmitter that activates the intellectual activity, and human performance, it contributes to the preservation of memory. Lack of acetylcholine leads to deterioration of memory and reduce mental and psychic activity, especially during depression. Frankfurters “Picanto” by its composition fully comply with the canons of the Orthodox abstinence.